This month we are celebrating our Diamond Anniversary – we’re sixty! Since our conception in 1958 we have become internationally recognised experts in the field of education. Our tireless efforts to bring education solutions to the most severely disadvantaged in fragile, conflicted and post conflicted regions of Africa have not gone unnoticed. Our founders were strong opponents of colonial rule and brought together prominent activists with various backgrounds, professions and political allegiances but united in the belief that education was the way forward. Their shared passion and commitment to helping people in Africa prepare for and manage their countries independence from colonialism enabled them to raise vital funds to support African students. Sixty years later and we have flourished by using the same passion and determination that fuelled our founders. We now reach approximately 250,000 people through our education programmes each year. We have built a reputation for delivering high quality, cost effective programmes in some of the most conflict affected countries in the world. We have won awards for our grass roots methodology and for our successes in our quest to deliver Education For All. We have been called upon to be a voice for the sector, coordinated influential campaigns, collaborated with other thought leaders and managed to form invaluable relationships with ministries. Memorable moments include winning an Impact Award from the Stars Foundation for our work in Somaliland in 2010 and our work being rated as Outstanding by UKAID. Although we are relatively small charity we have made a huge impact. We now reach over a quarter of a million children and adults through our education programmes annually. Undoubtedly, this is thanks to our dedicated and relentless team. Despite the challenges we have faced we have still managed to deliver – even when other organisations have fled. 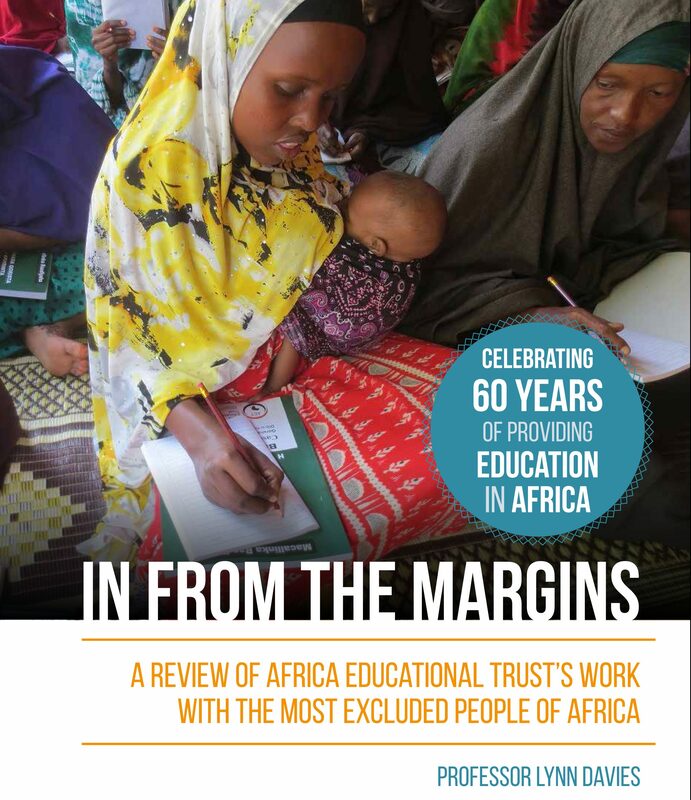 Our 60th Anniversary report covers the amazing breadth of our projects over the last decade. We are delighted to announce that both a summary and full version of the report are available to download from our resources page. We would like to take this opportunity to thank all our supporters over the last sixty years. We wouldn’t have reached this milestone without you. Education cannot wait and nor will we.